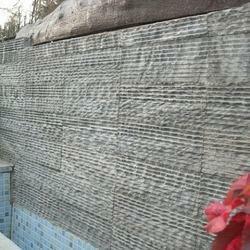 We are leading manufacturer, wholesale supplier and exporter of natural stone wall mosaic. 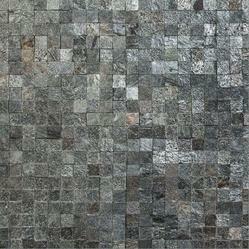 We are having more than 200 types of natural stone wall mosaic in our exclusive natural stone wall mosaic collection. We manufacturing export quality mosaic tiles with skilled labour of having experiences of more than 10 years. White Marble is well known by all around the world for flooring. We are making White Marble Mosaic Tiles for interior and exterior wall cladding. It gives very attractive look on walls for interior as well as exterior walls. 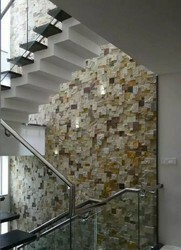 We offer these 3D Mosaic Tiles at wholesale prices for dealers in India. 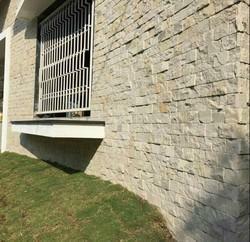 We are leading manufacturer and supplier of Natural stone wall Bricks for interior as well as exterior Elevation wall. We manufacture these wall tiles with Sandstone using high end machinery and skilled labor. These tiles are highly recommended for commercial purposes. Metal Mosaic Tiles are mix of natural stone and metal fusion with different types of encient sighns carved on it. 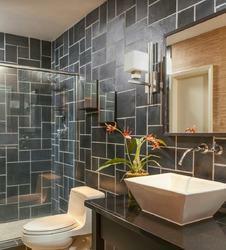 These Mosaic Tiles could be the best choice for any interior wall. 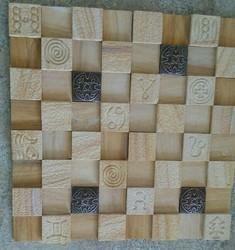 We supply these tiles with different encient signs and metals for different designs. These tiles are highly recommended for interior walls only. We are offereing a wide range of Side Walls Bricks. 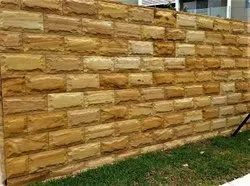 We supply only natural stone wall bricks. We are leading manufacturer and supplier of Mosaic Kitchen Tiles. Mosaic tiles for kitchen available with smooth and natural finish. Mosaic Tiles are available at very cheap price. Mosaic tiles offered by us in different color options as well as exhibit both classical as well as modern finish styles that are well liked by our look conscious customers. These mosaics are designs by us are with the premium quality of raw material. These stones are available in different varieties of attractive colors and patterns. These are supplied at high usage as boards in kitchens as well as bathrooms. These tiles can be offered by us in polished finish also. We are leading manufacturer and supplier of Mosaic Tiles for Interior Wall from Rajasthan, India. These Mosaics tiles crafted by highly trained people with imported machines. To give the texture surface and rough look we did splitface finish on it with metal fusion. It could be use for interior as well as exterior wall cladding. For external wall there is requirement of Sealing on its surface. We are leading manufacturer and supplier of Silver Grey Classic Mosaic Tiles. These silver grey classic mosaic tiles are demanded for interior as well as exterior wall cladding. We provide the installation facility for mosaic tiles supplied by us. These silver grey classic mosaic tiles are crafted with highly skilled labours. 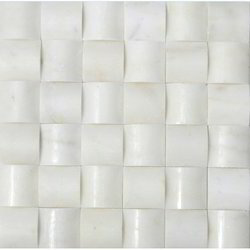 We are leading manufacturer and supplier of Internal Wall Mosaic Tiles from Rajasthan, India. Mosaic Tiles are offered by us in different color options as well as exhibit both classical as well as modern finish styles that are well liked by our look conscious customers. These mosaics are designs by us are with the premium quality of raw material. These stones are available in different varieties of attractive colors and patterns. These are supplied at high usage as boards in kitchens as well as bathrooms. These tiles can be offered by us in polished finish also. We are leading manufacturer and supplier of Rock Face Wall Mosaic Tiles from Rajasthan, India.We providing best quality rockface wall mosaic tiles for interior wall cladding. We supply these mosaic tiles at wholesale price. 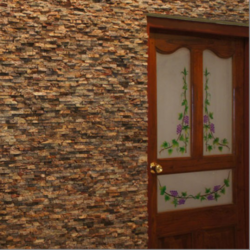 These rockface wall mosaic tiles are highly demanded by architects and builders for their interior wall applications. We are leading wholesale supplier of Baislana Black Ripple Mosaic Tiles from Rajasthan. We provide Baislana Black Ripple Mosaic Tiles with accuracy in sizes and cutting. Baislana Black Ripple Mosaic Tiles gives rough look on wall and it could be use for interior as well as exterior wall cladding. 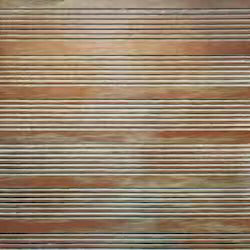 We have various types of Grooving Tiles for Wall Cladding for wall cladding. 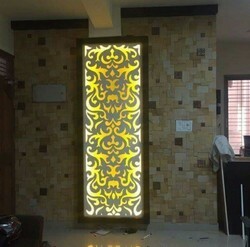 We do various colors for wall cladding with different types of stones. 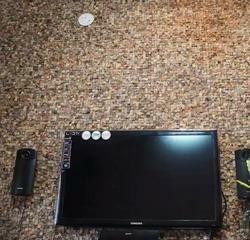 grooving tiles could be use for interior and exterior wall cladding. Mosaic Patterns Tiles are offered by us in different patterns with color options as well as exhibit both classical as well as modern finish styles that are well liked by our look conscious customers. These mosaics are designs by us are with the premium quality of raw material. These stones are available in different varieties of attractive colors and patterns. These are supplied at high usage as boards in kitchens as well as bathrooms. These tiles can be offered by us in polished finish also. Our Exclusive patterns for mosaics are as, 3D mosaic, Up Down Mosaic, Roman Mosaic, Classic Mosaic, Moulding Mosaic, Splitface Mosaic etc. Natural Stone Interior Wall Mosaic Tile are offered by us in different color options as well as exhibit both classical as well as modern finish styles that are well liked by our look conscious customers. These mosaics are designs by us are with the premium quality of raw material. These stones are available in different varieties of attractive colors and patterns. These are supplied at high usage as boards in kitchens as well as bathrooms. These tiles can be offered by us in polished finish also. Slate Stone Bathroom Tiles are offered by us in different color options as well as exhibit both classical as well as modern finish styles that are well liked by our look conscious customers. These black slate bathroom tiles are designs by us are with the premium quality of raw material. These stones are available in different varieties of attractive colors and patterns. These are supplied at high usage as boards in kitchens as well as bathrooms. These tiles can be offered by us in polished finish also. 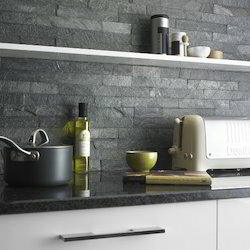 We also provide the installation facility for slate stone bathroom tiles supplied by us. 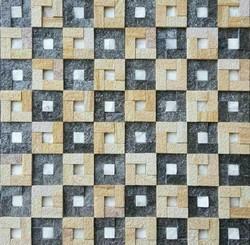 We are leading manufacturer and supplier of Stone Art Mosaic for Wall Cladding in Rajasthan, India. This unique art mosaic tile has been developed from natural stone with attractive look. The tiles in this sheet are mounted on a fiberglass mesh back which allows for an easy installation. • Living room Wall Coverings Wall Tiles, Natural Stone Rock Face Mosaics, Back Wall Cladding, Bedroom Stone Mosaic Tiles. We are leading manufacturer and supplier of Mint White Sandstone Roman Mosaic Tiles. These mint White sandstone roman mosaic tiles are available with Natural tumbled finish for smooth surface with natural look. 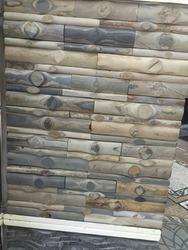 We supply these natural stone wall mosaic tiles at wholesale price for our existing customers. 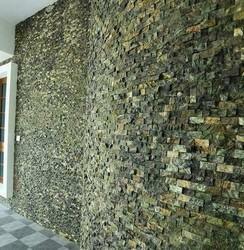 These natural stone wall mosaic tiles could be use for interior as well as exterior wall cladding. 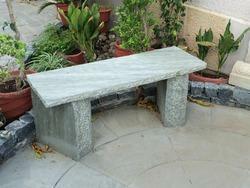 We are leading manufacturer and supplier of natural stone benches from Rajasthan, India. We offers various types of natural stone benches with customised sizes and finishes. This natural stone Bench is crafted from kandla grey sandstone with chiseled finish. Natural stone benches could be use for individual garden and public gardens.